After playing a game you can review it by clicking on Options --> Review Game. 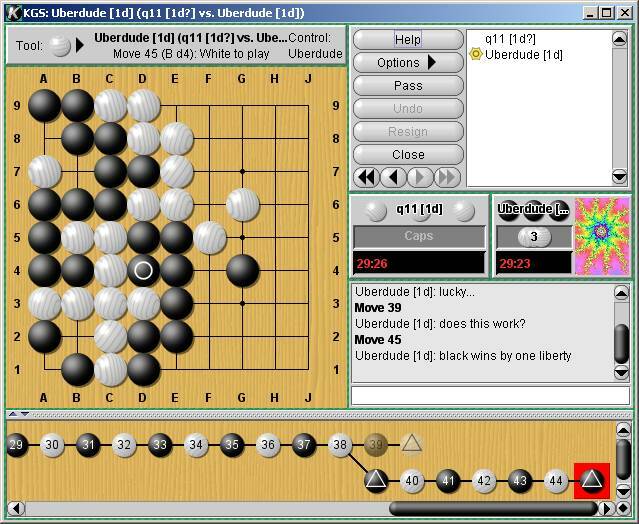 This will make a new demonstration game in which you can play different moves and discuss them. There are tools to help you review the game. Tool menu: play moves, edit moves, mark moves etc. Little arrows: show/hide the game tree window. Game tree window: click here to quickly jump between variations. The top line is the original game. Navigate through the moves with these arrows. Black diamond: change the layout of the game tree and chat windows.